Imposters aren’t just found in TV dramas like 'Trust Me'. Here are three incredible true stories of imposters who got away with their fake lives … for a while. These two words are either spoken or implicit in our everyday interactions. Whether it is the bus driver, the academic, the doctor or the surgeon – we want to believe that their uniform and their title gives them the authority they’ve earned. But history has proven that identity is a rubbery concept for some wily individuals. The lure of being considered important, superior, special, is too strong to allow something as pesky as a lack of credentials, experience or ability to prevent them taking on the mantle of a professor, a pilot, a surgeon, an aristocrat, or any other number of identities. These three individuals used imagination, deceptive trickery and emotional manipulation to convince others they were someone, or something, they were not. In an age of social media and 24/7 access to the daily lives of almost everyone in the world – is it even more likely now that people will adopt stories and credentials, even full identities, that aren’t genuine? Is your barrister really a barista in a suit and tie? Sir Roger Tichborne unwittingly set the scene for his ultimate disappearance and extraordinary return when a ship he boarded for South America became lost at sea in 1854. His distraught mother placed ads in newspapers seeking information about her missing son and offered a significant reward. More than a decade later, in 1865, a man came forward claiming to be Lady Tichborne’s long-lost son. He claimed that having been saved from the shipwreck, he then ended up in Australia where he’d been working as a butcher. He’d adopted the name Tom Castro once in Australia, but upon his arrival in England, Lady Tichborne became convinced he was indeed her son, Roger. Her family were not nearly so ready to accept this stranger as one of their own aristocratic relatives and swiftly employed investigators to uncover the truth of this Tom Castro. Their enquiries revealed Castro to be a London-born butcher whose real name was Arthur Orton. Arthur Orton deserted a ship bound for South America in 1849 and by 1852 was working as a butcher in Hobart. He moved to Gippsland, then Wagga Wagga, but by 1866, married and deeply in debt, the temptation to seek his fortune arrived in the form of Lady Henriette Tichborne’s advertisement for her lost son. Orton’s trial was one of the most divisive and compelling in English legal history, bringing the issues of class and inheritance to the fore at all levels of society. Many believed Orton/Castro/Tichborne was being robbed of his rightful inheritance at the hands of greedy aristocrats, while others were convinced he was a fraud with a thoroughly entertaining but purely imaginative story. Orton was jailed for over a decade for perjury, and upon his release he accepted a financial incentive to admit he had made up his Tichborne identity and story, though he later retracted this confession. He died penniless in 1898. The so-called ‘Tichborne claimant’, Arthur Orton. For 13 years, a Swedish pilot flew passenger jets without a licence. As he went to board a Boeing 737 with 101 passengers aboard, he was arrested by officers who had been tipped off. Thomas Salme had attained a commercial pilot licence in the past, but upon its expiry, he doctored it to enable him to fly passenger jets, a job he was not qualified for. Before his unspectacular arrest, 41-year-old Salme had spent 10,000 hours as an unlicensed, unqualified passenger jet pilot. He was ultimately fined 2000 euros by a Dutch court and banned from flying for 12 months. The court took into account that Salme had never caused an accident in his 13 years of fraudulent flying. Salme told German magazine Focus that his “crackpot idea” led him to forge a Swedish flying permit that he’d made using regular white paper, which looked evidently home-made. Thomas Salme was compared with Leonardo di Caprio’s imposter pilot, Frank Abagnale Jr, in ‘Catch Me If You Can’. It’s likely in the wake of the recent Royal Commission that a career as a surgeon looks more appealing than that of a banker. It certainly did for one banker, who forged medical qualifications that provided the avenue into a 14-month role in an operating theatre of a major hospital before he was caught. Christian Eberhard wrote himself effusive references from imaginary doctors as well as his own degree, claiming to have qualified at Oxford University. His inability to spell doctor and medicine on his forged qualifications weren’t enough to dissuade his employers at the University Clinic of Erlangen in Germany of his preparedness for the role. Bitter at his parents’ inability to financially support his eight years of medical study, Eberhard remained fixated on a career as a doctor even after establishing himself as a securities expert. His employment at Erlangen Hospital saw him train in surgery techniques for two years, leading to a promotion to Assistant Surgical Doctor. Always supervised by a senior doctor, Eberhard claimed he’d never caused the death or suffering of patients in the 190 operations he took part in. These included amputations, spinal, liver and lung operations. ‘Trust Me’ is a series about a nurse pretending to be something she isn’t - and it has a lot more in common with 'Hannah Montana' than anyone knows. Four-part British series ‘Trust Me’ feeds our fear of medical horror stories and delivers suspense, tension and intrigue that does not waver. 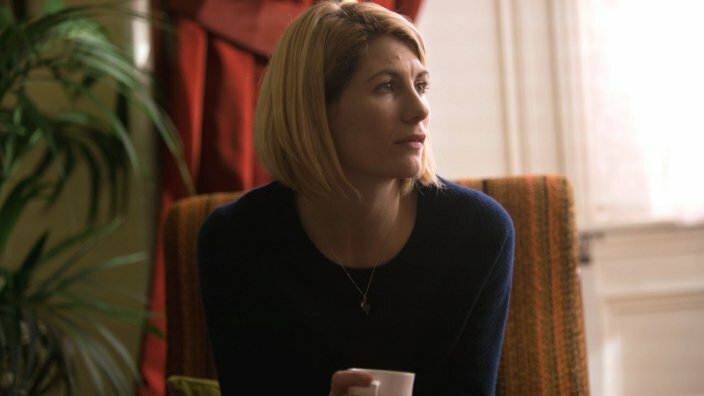 She’s making history as the first female to play the titular role in 'Doctor Who', but British actress Jodie Whittaker is no stranger to pretending to be a doctor.